One amazing show you simply will not want to miss when you visit Las Vegas is "American Superstars". A star-studded cast pays tribute by performing as some of the biggest names in entertainments past and present. This show is live and features absolutely no lip-synching whatsoever. Boasting a cast who are pretending to be famous individuals including Elvis (in a special appearance from beyond the grave), Christina Aguilera, Britney Spears, Michael Jackson, Charlie Daniels, Madonna, and Tim McGraw, the entire family can enjoy the American Superstars Las Vegas show. American Superstars, performed nightly at Strotosphere Hotel & Casino, has received both praise and critical acclaim. Recently, the show received the honor of being named the, Best Entertainment Value in all of Las Vegas, courtesy of the Las Vegas Advisor. This spectacular show truly brings to light what the American Super stars have become over the years. From the oldies of yesterday to the pop stars of today, the transformation of the music industry is present in this show. During the show, singers in "American Superstars" mimic the top talent vocally and through both their actions and appearance. 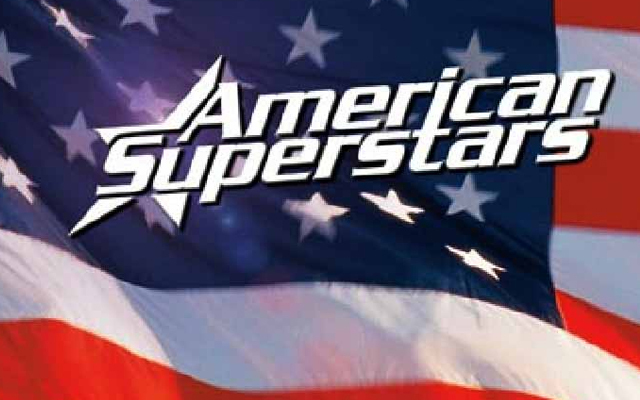 If you are looking for a show that is recommended to entertain the entire family, then "American Superstars" is the show. The show is fast paced and high energy. As the "artists" in "American Superstars" sing, they have the backup and support of the Superstars Dance Band. During musical numbers, the versatile cast of "American Superstars" is comprised of backup dancers known as the Superstar dancers. The unique show, "American Superstars", is affordable and is one of the most popular shows in Las Vegas currently. The top performances and audience favorites have been rated as the tributes to Elvis, Madonna, Tim McGraw, Madonna, and Britney Spears. If you have not seen “American Superstars”, the next time you visit Las Vegas, you will need to check the show out. This is one show, which you will not want to miss! My husband and I and our friends attended the show. We really enjoyed the music. Overall, a job really well done. I have seen this show twice, once in 2008, i liked it so much then i went back in 2009. The Michael Jackson character was something else! So to was the Christina Agulera character, these guys were really committed to looking and sounding like the real thing...great backing band also, very tight!